Everyone’s grandparents have a biscuit tin, right? When I were a lad (younger), we’d visit my grandparents’ house every Sunday morning at 11am sharp – just in time for tea. There, we’d sit down and fetch the biscuit tin and a glass of fruit juice. To be found inside the tin was a plethora of biscuits, the varieties of which changed from week to week. 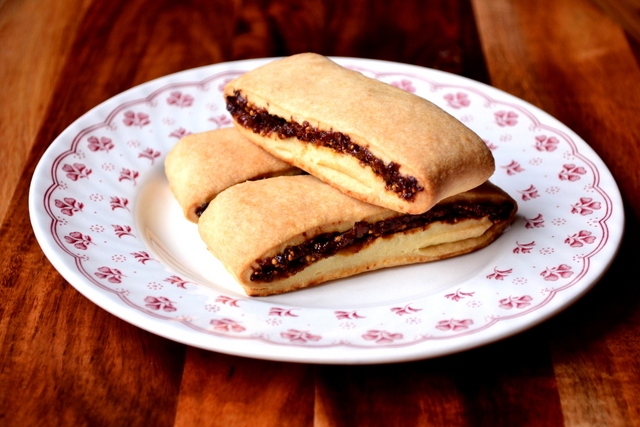 Ever present, however, would be a packet of fig rolls – fig newtons to you of an American persuasion – and, as such, they have always held a special place in my heart. Then again, perhaps it’s just that fig rolls have a rather wonderful flavour. Either way, here’s my recipe. The best thing about following a recipe like this and making your own fig rolls is that the real figgy flavour is allowed to resonate. It’s dark, sticky appeal isn’t lost to myriad preservatives, additives and what-have-you. No, boiled down into a thick jam with a little honey and olive oil and processed until more or less smooth, the figs in this recipe really shine through. Enjoy. Follow the link above for instructions on how to make your shortcrust pastry. While your pastry is chilling bring your figs, honey, oil and water to a brisk simmer. With the lid off, cook until reduced into a thick jam – around 20 minutes. Leave to cool for 5 minutes before transferring to a food processor and blending until smooth. Once the pastry has been chilling for 20 minutes, transfer it to a lightly floured surface and roll into an oblong of roughly 40cm by 15cm. Preheat your oven to 200C/180C (fan). Spread the figgy mixture lengthways down the centre of your pastry, taking up a third of its width. 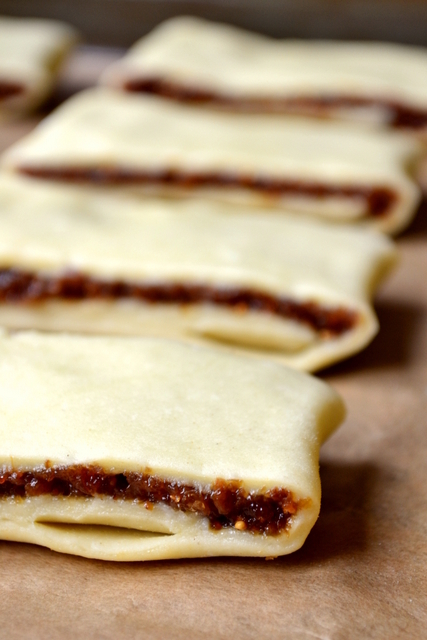 Fold one side of the pastry over the figs – but not beyond – followed by the other. Slice the uncooked biscuits cleanly into sections of around 2 inches. Transfer to a lined baking tray and bake for 20-25 minutes until golden brown. Allow to cool a little before eating. Cost: As I impressed upon you in my previous fig-based recipe, dried figs are incredibly cheap at as little as £2.30 per 500g. The maths buffs among you will know that this translates to roughly 90p for 200g. A little honey and olive oil won’t break the bank either, let alone the rather frugal shortcrust pastry. Indeed, all of the wonderful components combine to make as many as 16 fig rolls for as little as £1.40. Where is the love button for this recipe?? Thank you! Oh now I’ve never made a fig roll but I want to. The shop bought ones aren’t safe around me as I will eat the lot if left to my own devices 😉 I’m very curious about just how simple your recipe is and the fact that it uses shortcrust not a more biscuit or cookie dough like concoction intrigues. The other two recipes I have use far more ingredients and I am wondering if they are overkill? You must, Jo! They probably are overkill because these are perfection… I’m not trying to equal the fig roll, they’re quite processes. I’m trying to make them better! How lovely do these look!? 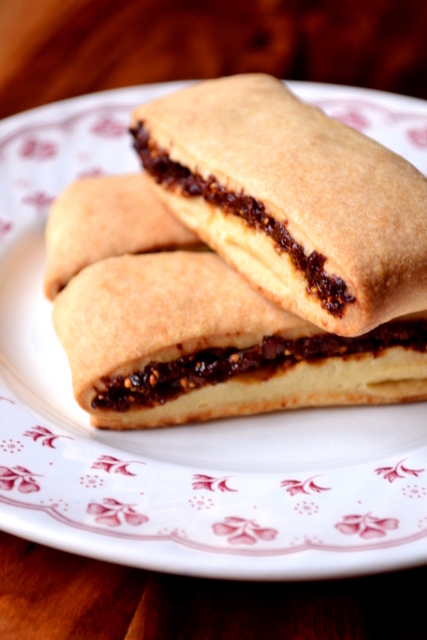 I’ve been meaning (on and off) to try making fig rolls for years, so thank you for the recipe. I think my gran only ever had rich teas in her biscuit tin, perhaps the occasional garibaldi, but we always looked forward more to the content of her freezer – she would buy in lots of lemon meringue pies and ice cream and have home-stewed plums to guzzle on. Yum! My pleasure – they really are very simple. Thank you. It was biscuits or nothing with mine, never anything overly sweet. It has never occurred to me to make fig rolls (or Fig Rollers as my kids call them). My super fussy daughter loves them (and not a lot of other biscuits) so I really want to give them a go. I agree with Jo Blogs though – I better make sure my little one is home when I make them or there won’t be any left by the time she gets home from school! I love figs and these look great. Thanks. Thank you, Anne! They seem to have a few fans. Why have I never thought of making these?! Wonderfl idea, yours look great and the post bought back happy memories of my grandparents and their biscuit tin (mmm…custard creams) and there was also a sweet tin but my grandfather was rather a fan of humbugs which I wasn’t so keen on! It’s all about the biscuit tin, Tanya… They didn’t have a sweet tin. I don’t think my grandparents ever ate sweets. Actually, one is still alive and he still doesn’t. I looooove fig! Looks delicious! 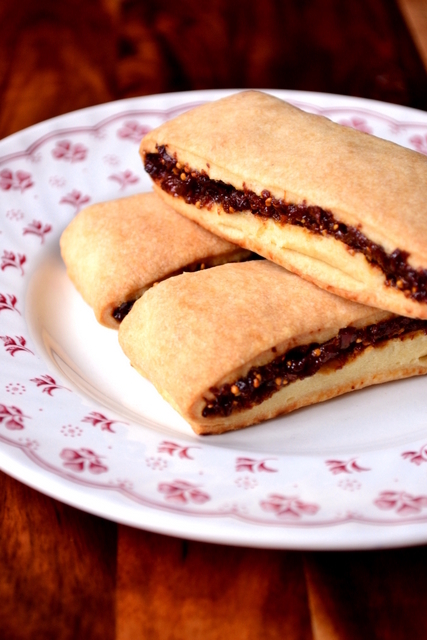 I wondered if you’d call them “fig newtons” and there it was! I was such a fruit-hating child, it’s a wonder that I loved them. And I did, sandy filling and all. I’ve always wanted to make them, but never have. Now I know just what recipe to use. I have to clarify for the American contingent. You totally have to make these, Michelle! I’ve tried to make these before and I have to tell you these are beautiful compared to mine. Great pics! Well, thank you, Cheri! I’m sure yours were wonderful too. It’s hard to go wrong with dried figs! Oh my gosh i love fig rolls! Great recipe. Definitely time to try making them myself! You definitely should – they’re just so simple! Thank you – I can’t resist fig rolls. Ooh, these are one of my all time favourite cookies/snacks but I have never made them. I look forward to trying your recipe! You must – home made are even nicer! 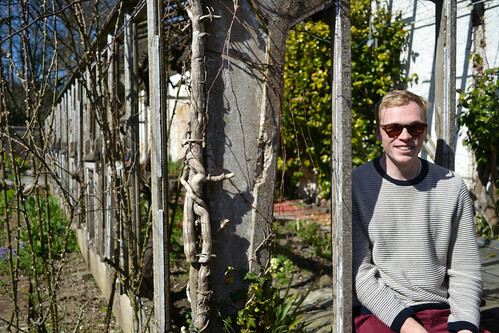 Your blog is fantastic. I will be trying your risotto recipe using golden beets at the weekend and am now thinking it will be hard to resist trying to make my own fig rolls. Damn you! Thanks, Kate – that risotto is really delicious I hope you like it!